J.M. DeMatteis's CREATION POINT: HAPPY BIRTHDAY, JOHN ROMITA! Today’s the birthday of the great John Romita, Sr. I bow to no one in my respect for Steve Ditko—the man was off-the-charts brilliant—but Romita Sr's Spider-Man will always be my Spider-Man. John's a true master—and an incredibly nice man—and I'm very grateful that I got to work with him on one memorable story: “The Kiss” in Webspinners #1. I remember talking to him on the phone when we were collaborating on that story and he was working so hard to get those pages the way he wanted them: drawing and redrawing, worrying over the art. He could have just knocked them out and they would have looked beautiful; but, even after decades in the business, John wouldn't settle. And the result was pretty damn brilliant. I also remember being at a Spider-Man writer's conference in the 90s when Romita, Sr joined us for the day—and he kept throwing one fantastic idea after another on the table. The man's not just a consummate artist: He's a consummate storyteller. Happy Birthday, John! Here's to many more! Funny timing - I just read that story last night! I enjoyed it. Something else I just remembered about that issue (Webspinners #1): in the first story (the one with Mysterio), at one point Peter goes to the movies. I noticed that standing in line behind him is a guy that looks like Meher Baba! I don't know much about him, but I recognized him from "Seekers into the Mystery" and a few of your blog posts. It was neat to make the connection, and see him get a cameo. If memory serves, that was Michael Zulli's doing. Michael was very interested in Meher Baba at the time and put that cameo in as a little Easter Egg. Synchronicity! Glad you enjoyed it! Steve Ditko was there at the beginning. There would be no Spider-Man without him. 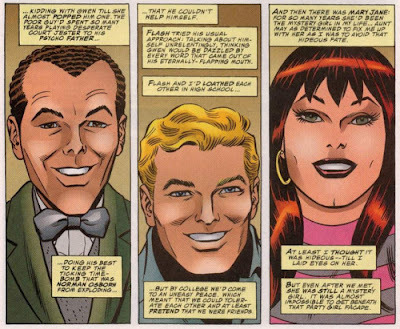 His eerie pencils helped define Spidey as the lovable outcast. The weirdo with powers instead of the Silver Age god from above. But, in all honesty, Romita is who I think of when I think of classic Spider-man art. No disrespect to Ditkoo, I love his stuff, and actually (for the most part) DID read his Spider-Man stories first. 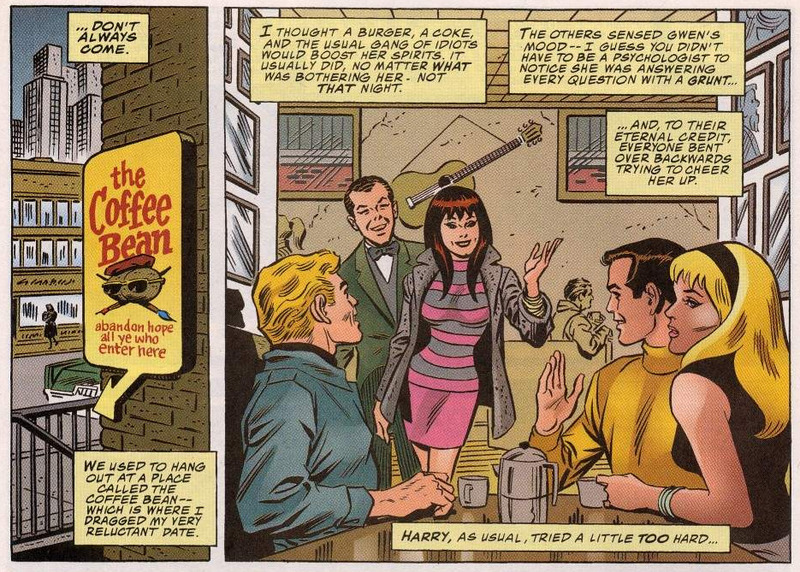 However, I always felt Lee had a better rapport with Romita. The characters all not only jumped off the page, but also made you wonder what they did when they were not there. He also added a type of elegance to Daredevil, that even in the darkest stories he maintained. No disrespect to those who came before or after. Gene Colan will always be more iconic as Daredevil's artist, but Romita's influence can't be ignored. Romita was Neal Adams and Alex Ross before Neal Adams and Alex Ross. He drew Superheroes how they would look in the real world. Not to mention, the question remains, with his romance comics background, how much of his influence was responsible for the fan base accepting Peter Parker having a romantic life? Think about how much MJ is a part of the mythos. How fans are still angry the marriage ended. Lee writing a fun, likable personality was certainly important to us loving her. 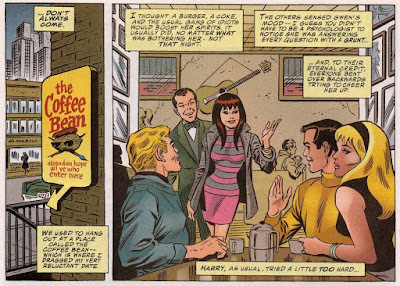 But ROmita was instrumental in us buying it could happen. He isn't Spider-MAn's parent like Lee and Ditko, but he is certainly his godfather. Happy Birthday, and for the love of God Mr. Romita, have a lot more! I adored Romita's short run on DAREDEVIL. The first DD comic I ever bought was a Romita—"Alone Against the Underworld! "—the same month I picked up part two of Romita's first Spidey story. It was love at first sight! By the way, Jack: I got your other comment but I'm not going to run it because I don't want to knock other writers' work here. That said, I knew nothing about that story, just looked up the details...and, well, that was a weird one (see how purposely vague I'm being). I'm 90% sure I know which one you mean. It isn't one of the most fondly remembered comic book stories ever. My guess is that even that writer doesn't want it brought up again. But the Peter David one is great, and part of a weirdly forgotten run. Well Dematteis, if you love Romita's Daredevil so much, why don't you listen to him talk about it?